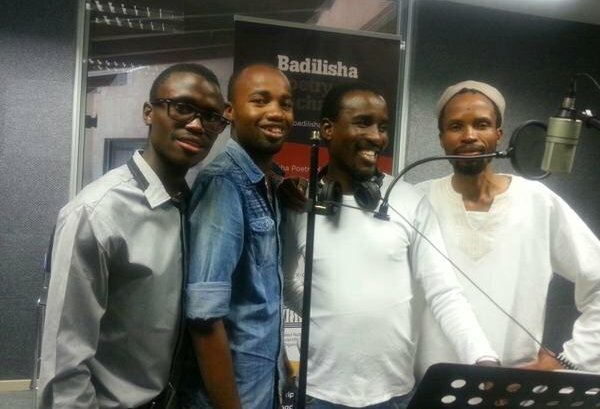 Badilisha Poetry X-Change (www.badilishapoetry.com) is a significant platform for African poets – bearers of culture, knowledge and critical, reflective voices. Badilisha houses the world’s largest online collection of African poetry and has, since its inception in 2010, showcased and archived over 350 Pan-African poets from 22 countries. 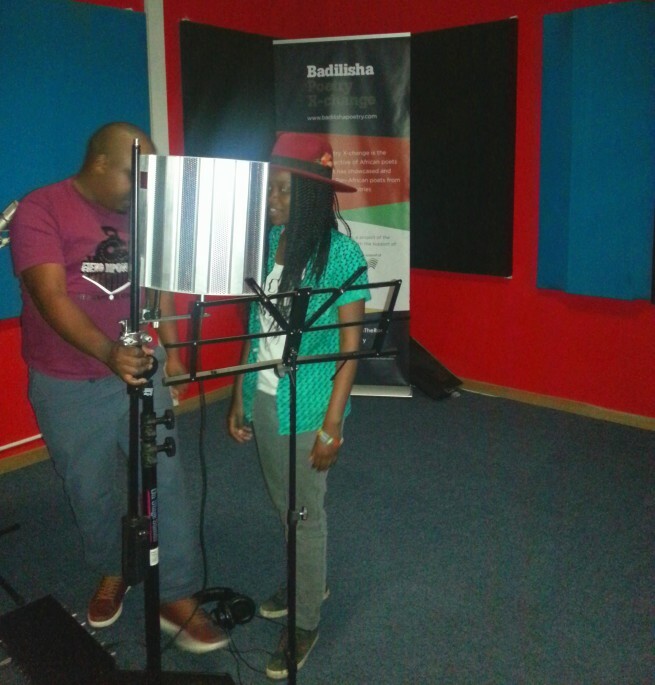 With the support of the International Fund for the Promotion of Culture (IFPC) of the United Nations Educational, Scientific and Cultural Organization (UNESCO)**, the Badilisha team was thrilled to get the opportunity to record an array of Batswana poets for archival, and host a poetry workshop lead by TJ Dema (http://badilishapoetry.com/tj-dema/) and Tiro Sibina. Badilisha worked with local arts organizations, Sauti Arts and Performances Management (Gaborone) and Poetavaongo Spoken Word Poetry (Maun) to identify poets in the quiet and sunny Botswana. 42 poets were recorded, the oldest poet was 70 years old and the youngest was 17. The curatorial process for these poets is currently in progress, and therefore podcasts featuring their work are yet to be produced. 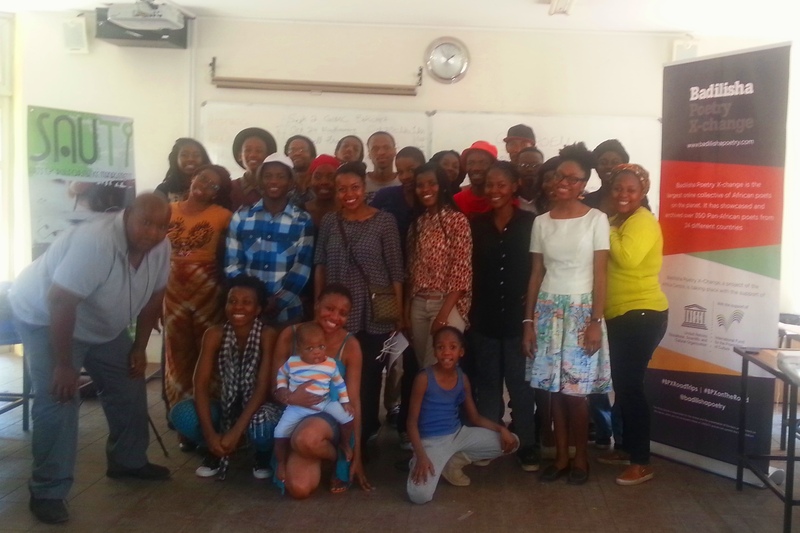 The workshop was well attended by mostly young contemporary poets, who were eager to learn from Botswana’s best. 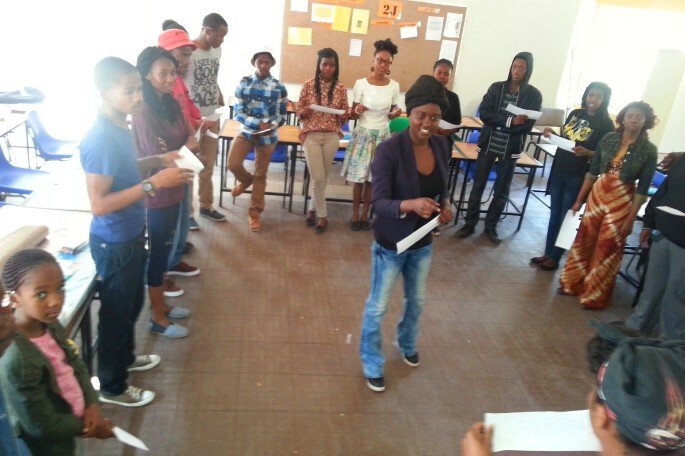 Tiro Sebina who teaches courses in Literary Theory and Criticism at University of Botswana, and internationally celebrated poet TJ Dema did a great job of facilitating the workshop. 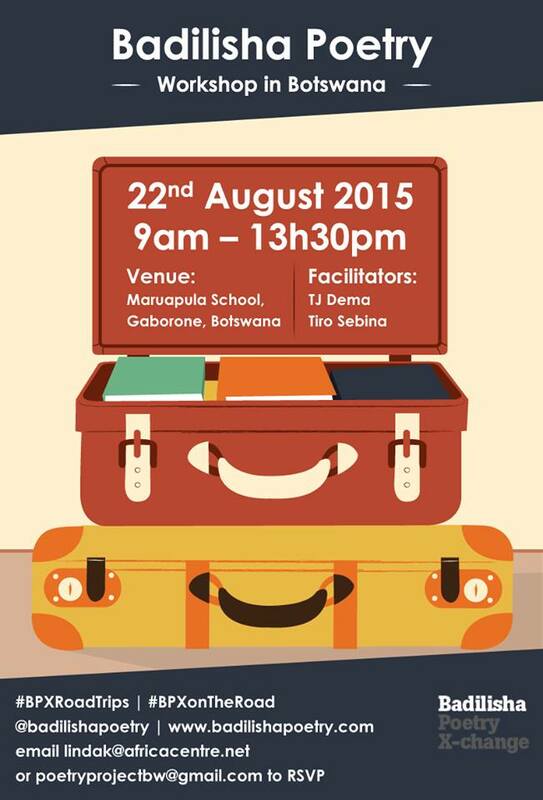 Venue for the workshop in Gaborone: Maruapula school. TJ Dema starting the workshop in Gaborone with a warm up session. Poets participating in the workshop in Gaborone. 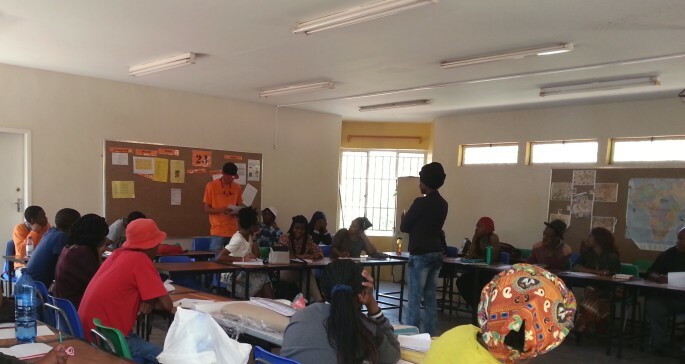 Lunch break after an informative first half of the workshop in Gaborone. Group photo with all the workshop attendees and facilitators. “The business of creativity is infinite rehearsal [and editing]” Tiro Sebina. 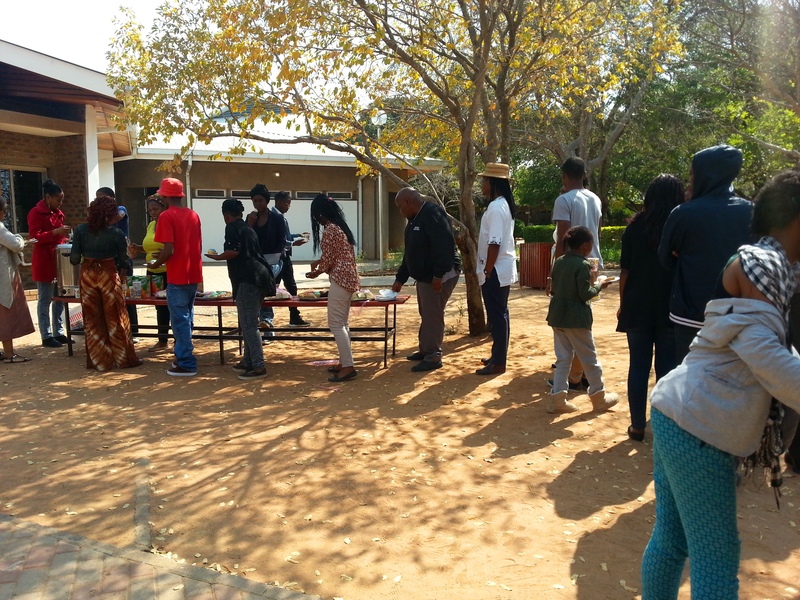 Setting up before the recording starts in Gaborone. 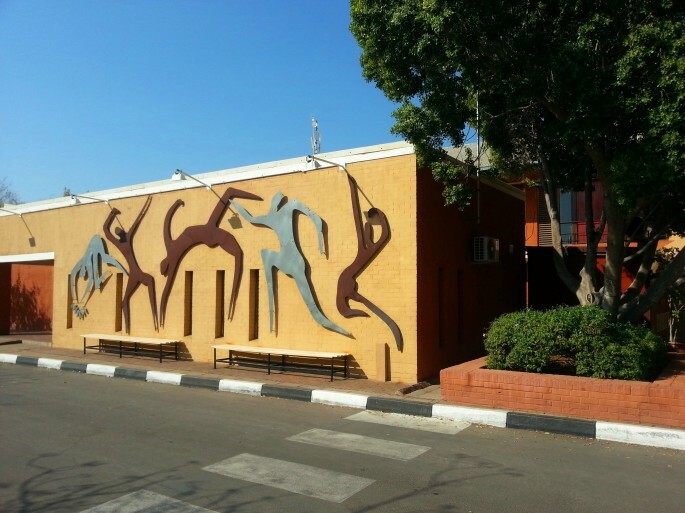 A quartet of poets in Maun.